/ Catechisms and articles / What is an ”Anathema”? What is the holy Church? It is a society of believers, united among themselves by a unity of confession of divinely revealed truths, by a unity of sanctification by divinely established Mysteries, and by a unity of government and guidance by God-given shepherds. 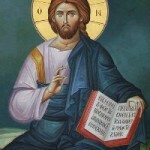 The oneness of confession, sanctification, and administration constitutes the rule of this society, which is obligatory for anyone who joins it. Membership in this society is contingent upon accepting this rule and agreeing with it; remaining in this society is contingent upon fulfilling it. Let us see how the holy Church grew and how it continues to grow. The preachers preach. Some of the listeners do not accept the preaching and leave; others accept it and as a result of accepting it are sanctified by the holy Mysteries, follow the guidance of the shepherds, and thus are incorporated into the holy Church — they are churched. That is how all the Church’s members enter her. In entering her, they are mingled with all her members, they are united with them, and they remain in the Church only as long as they continue to be one with them all. From this simple indication regarding how the Church is formed, you can see that as a society, the holy Church came to be and continues to exist just like any other society. And so regard it as you would any other, and do not deprive it of the rights belonging to any society. Let us take, for example, a temperance society. It has rules which every member must fulfill. And each of its members is a member precisely because he accepts and abides by its rules. Now suppose that some member not only refuses to abide by the rules but also holds many views completely opposed to those of the society and even rises up against its very goal. He not only does not himself observe temperance but even reviles temperance itself and disseminates notions which might tempt others and deflect them from temperance. What does the society ordinarily do with such people? First it admonishes them, and then it expels them. There you have an anathema! No one protests this, no one reproaches the society for being inhuman. Everyone acknowledges that the society is acting in a perfectly legitimate manner and that if it were to act otherwise, it could not exist. So what is there to reproach the holy Church for when she acts likewise? 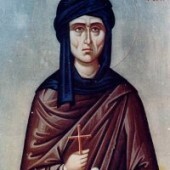 After all, an anathema is precisely separation from the Church, or the exclusion from her midst of those who do not fulfill the conditions of unity with her and begin to think differently from the way she does, differently from the way they themselves promised to think upon joining her. Recollect how it happened! Arius appeared, who held impious opinions concerning Christ the Saviour, so that with these notions he distorted the very act of our salvation. What was done with him? First he was admonished, and admonished many times by every persuasive and touching means possible. 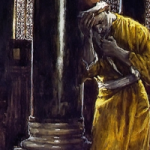 But since he stubbornly insisted upon his opinion, he was condemned and excommunicated from the Church — that is, he is expelled from our society. Beware, have no communion with him and those like him. Do not yourselves hold such opinions, and do not listen to or receive those who do. Thus did the holy Church do with Arius; thus has she done with all other heretics; and thus will she do now, too, if someone appears somewhere with impious opinions. So tell me, what is blameworthy here? What else could the holy Church do? And could she continue to exist if she did not employ such strictness and warn her children with such solicitude about those who might corrupt and destroy them? Let us see — what false teachings and what false teachers are excommunicated? 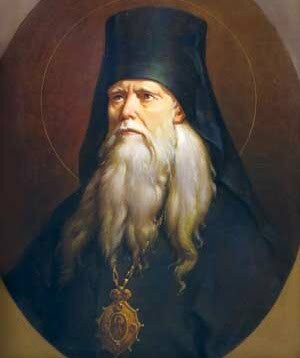 Those who deny the existence of God, the immortality of the soul, divine providence; those who do not confess the all-holy Trinity, Father, Son and Holy Spirit, the One God; those who do not acknowledge the divinity of our Lord Jesus Christ and our redemption by His death on the Cross; those who reject the grace of the Holy Spirit and the divine Mysteries which bestow it, and so forth. Do you see what manner of issues they touch upon? These are issues which are the very reason the holy Church is the Church, principles upon which she is founded and without which she could not be that which she is. Therefore those who rise up against such truths are to the Church what those who make attempts against our lives and our property are to us in our daily life. Robbers and thieves, after all, are nowhere permitted to carry on freely and go unpunished! And when they are bound and handed over to the law and to punishment, no one considers this to be inhumane or a violation of freedom. On the contrary, people see in this very thing both an act of love for man and a safeguard for freedom — with regard to all the members of society. If you judge thus here, judge thus also concerning the society of the Church. These false teachers, just like thieves and robbers, plunder the property of the holy Church and of God, corrupting her children and destroying them. Does the holy Church really err in judging them, binding them, and casting them out? And would it really be love for man if she regarded the actions of such people with indifference and left them at liberty to destroy everyone else? 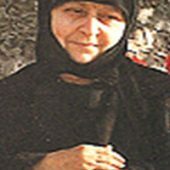 Would a mother permit a snake to freely crawl up to and bite her little child, who does not understand the danger? If some immoral person were to gain access to your family and begin tempting your daughter, or your son — would you be able to regard their actions and their speeches with indifference? Fearing to gain a reputation for being inhumane and old-fashioned, would you tie your own hands? Would you not push such a person out the door and close it against them forever?! You should view the actions of the holy Church in the same way. She sees that individuals of corrupt mind appear, and corrupt others — and she rises up against them, drives them away, and calls out to all those who are her own; Beware — so-and-so and such-and-such people wish to destroy your souls. Do not listen to them; flee from them. Thus she fulfills the duty of motherly love, and therefore acts lovingly — or as you put it, humanely. At the present time, we have a proliferation of nihilists, spiritists and other pernicious clever ones who are carried away with the false teachers of the West. Do you really think that our holy Church would keep silence and not raise her voice to condemn and anathematize them, if their destructive teachings were something new? By no means. 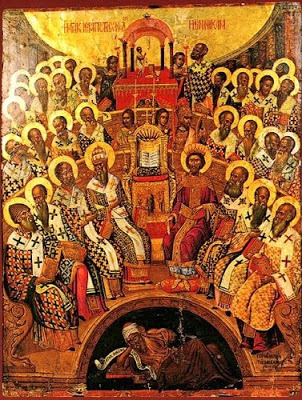 A council would be held, and in council all of them with their teachings would be given over to anathema, and to the current Rite of Orthodoxy there would be appended an additional item: To Feyerbach, Buchner, and Renan, to the spiritists, and to all their followers — to the nihilists — be anathema. But there is no need for such a council, and there is no need either for such an addition. 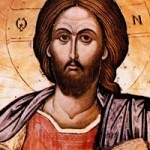 Their false teachings have already all been anathematized in advance in those points where anathema is pronounced to those who deny the existence of God, the spirituality and immortality of the soul, the teachings concerning the all-holy Trinity and concerning the divinity of our Lord Jesus Christ. 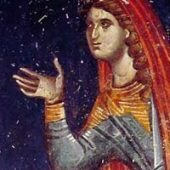 Do you not see with what wisdom and foresight the holy Church acts when she makes us perform the present proclamation and listen to it? And yet they say, “This is outdated.” It is precisely now that it is relevant. Perhaps 100 years ago it was not relevant. 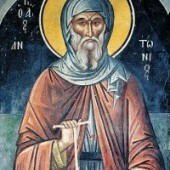 But one must say concerning our time, that if a Rite of Orthodoxy did not as yet exist, it would be needful to introduce one, and to perform it not only in the capital cities but in all places and in all churches: in order to collect all the evil teachings opposed to the Word of God, and to make them known to all, in order that all might know what they need to beware of and what kind of teachings to avoid. Many are corrupted in mind solely due to ignorance, whereas a public condemnation of ruinous teachings would save them from perdition. Thus, the Church excommunicates, expels from her midst (when it is said, “Anathema to so-and-so”, that means the same thing as, “So-and-so: out of here”), or anathematizes for the same reason that any society does so. And she is obliged to do this in self-preservation and to preserve her children from destruction. Therefore there is nothing blameworthy or incomprehensible about this present Rite. If anyone fears the act of anathema, let him avoid the teachings which cause one to fall under it. If anyone fears it for others, let him restore him to sound teaching. If you are Orthodox and yet you are not well disposed toward this act, then you are found to be contradicting yourself. But if you have already abandoned sound doctrine, then what business is it of yours what is done in the Church by those who maintain it? 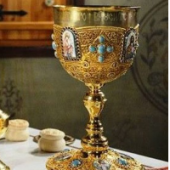 By the very fact that you have conceived a different view of things than that which is maintained in the Church, you have already separated yourself from the Church. It is not inscription in the baptismal records which makes one a member of the Church, but the spirit and content of one’s opinions. Whether your teaching and your name are pronounced as being under anathema or not, you already fall under it when your opinions are opposed to those of the Church, and when you persist in them. Fearful is the anathema. Leave off your evil opinions. Amen.